Going to a fair with a goat is a tradition. However, going to The Fair with The Goat is a brand new landmark in history. That’s right, the whole Rising’ Goat team will visit tomorrow Madrid Games Week. Ok, we know if a fair deserves to be called The Fair, that fair is E3. 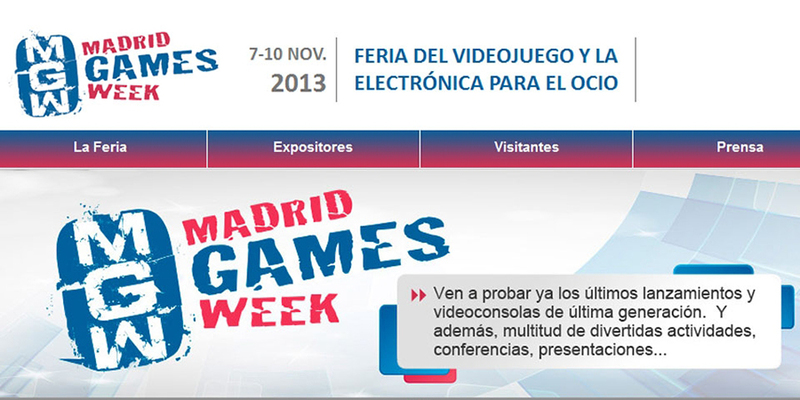 However, the Madrid Games Week is nearer to us, both in time and space. However, we are even more excited to play new games. Games make the industry the way it is and they are what really thrill our minds and hearts. We are especially looking forward to playing two games. Both are Spanish, both are graphic adventures, both have been funded by crowdfunding and both are amazing. We are talking about Candle and Gods will be watching (it is funny that it is almost Goats will be watching). Candle is a 2D game painted entirely using manual techniques. You know, using ink and watercolor. That sounds like a lot of work. However, the results are impressive. They are creating a wonderful world to lose oneself in. This environment and its light mechanics (Candle is not a random name) makes it really interesting. This game has also got rid of the old mouse and welcome the old WASD (or arrows). We are eager to play it. Gods will be watching is a game with a more classic art. I mean pixels. Pixels! We really love pixels. Especially Carlos. We had to tie him while writing this because he is a fan of this game. He has played a previous version of the game like fifty times and he is a little unbearable when he likes something a lot. Nevertheless, this game emerged from a Ludum Dare. It has always featured a key mechanic: taking hard decisions to survive. This concept has evolved into a sci-fi point&click adventure with more hard decisions to break our minds. We are eager for tomorrow. There will be photos and we swear the next post will have information about our first project… Or the next of the next.